mike - Ca. Works as advertised "I have been using this for years and always works great." kx450f - OR The best "I only use this grease. 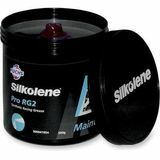 This stuff holds on and does not let you down the best stuff to use for your wheels and linkage."